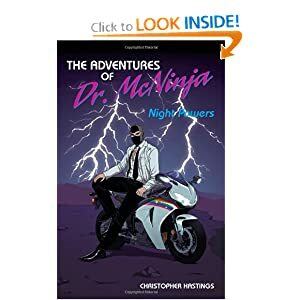 McNinja | Random moosages as I see fit. Not a very satisfying post, is it? But think of the content! Fangirl(or boy)ism. I’m quite against it. I mean…really? What possibly could be so great about something that you would have to obsess over it to that extent? Apple? Pff. Newest iSomething? Snort. Steve Jobs? Please. BUT HERE IS SOMEONE YOU CAN TOTALLY OBSESS OVER AND IT IS NORMAL BECAUSE HE IS ONLY THE COOLEST PERSON EVER. COOLEST. PERSON. EVER. EVAR. GO AND READ ALL OF IT. And I will just have to accept that there actually is something that can bring out some fangirl tendencies in me.